Near the border, outlaws are hijacking trains and using them to transport large quantities of rifles. Roy gets involved when the train that was to pick up his cattle fails to stop. Helping out the Sheriff, Roy brings in a suspect. He identifies him as a wanted man but the outlaw escapes with Roy as a hostage. Roy is taken to the gang leader’s house where another hijacking is being planned. They also plan to get rid of Roy. James Garner is a nothing short of a delight in this western spoof. The film takes place in the small western town of Calender, a town that experiences a gold rush when gold is discovered in an open grave by Prudy Perkins (Joan Hackett). As gold prospectors flood in and out of town, the Danby clan, anxious to take advantage of the situation dispatch three sheriffs and they control the town. Into this situation, on his way to Australia, rides Jason McCullough (Garner). McCullough is an easy-going sort who just happens to be a crack shot. The town rapidly makes him sheriff. His first line of business is to break up a fight and to arrest Joe Danby (Bruce Dern) for murder. Telephones, electric hair clippers, ceiling fans.hot dog sellers and trucks in he old west, nah. Just GREAT! 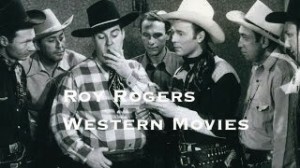 I’ve always been a fan of Roy Rogers and Trigger. Its always a pleasure watching his movies as well as his TV episodes. Keep up the good work, just love westerns! A great spoof of typical westerns! I really think Jack Elam is better as a comedian than a villain.